Can't find the hole in the air mattress? Need tips for backcountry meals? A surprise cold front has rolled in.... need some improvised gloves, fast? You'll find the answers in Everyday Wisdom: 1001 Expert Tips for Hikers. A few small tricks from a seasoned expert make all the difference. Here is a one-step, easy-to-use collection of practical advice, time saving tips, problem-solving techniques, brilliant improvisations, and everyday wisdom to show hikers how to make their way, and make do, in the backcountry. The secret is preparing for the predictable and solving problems by avoiding them. 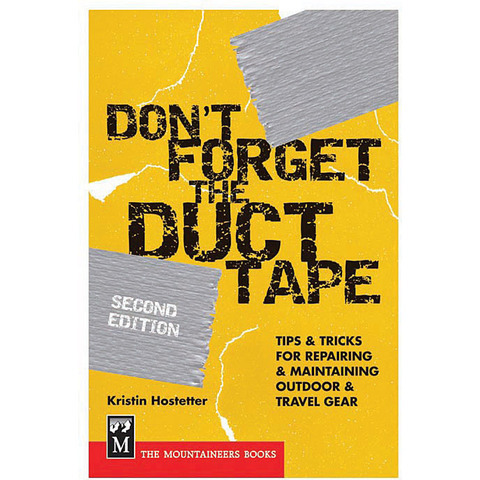 Learn about the basics, food and kitchen, travel across backcountry terrain, creating comfort, weather issues, staying healthy, water, field repairs, equipment maintenance between trips, and much more.